“Gypsies” is a general term used to describe groups of people that lead a nomadic lifestyle with no definite roots in any one location. Though uncommon, the gypsy way of life is practiced all over the world from Asia to Latin America. Their constant wanderlust, affinity to adventure and deep-rooted beliefs in the occult and magic have allowed gypsies to have a huge influence on all forms of art, including tattoo art. 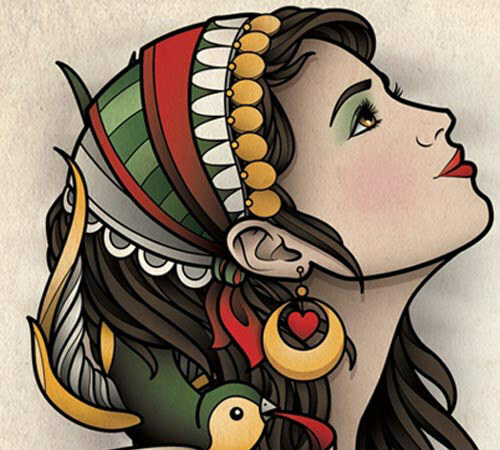 These top ten gypsy tattoos are bound to inspire you with a sense of adventure, wanderlust and maybe, even renew your faith in all things magical. 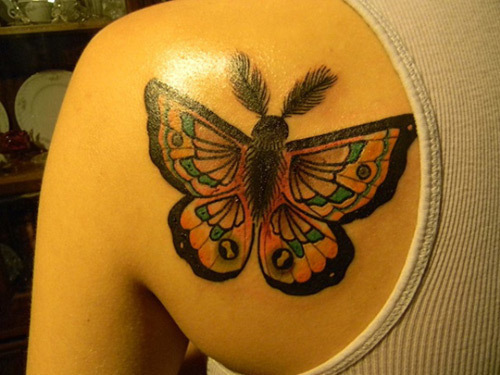 This tattoo is a riot of colors with an apparent emphasis on even the minutest details. The message that comes along with this amazing piece of art is clearly against mediocre love. For those looking to having this replicated on your skin, remember only a seasoned artist could do this. 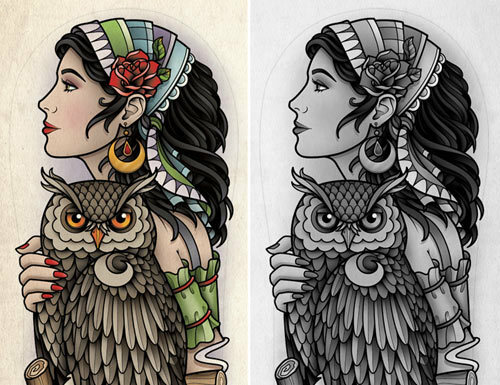 This tattoo’s concept of a gypsy girl with an owl is an example of what you can replicate with or without color. For gypsies, an owl is associated with magic and is symbolic of the feminine, the moon and the night. 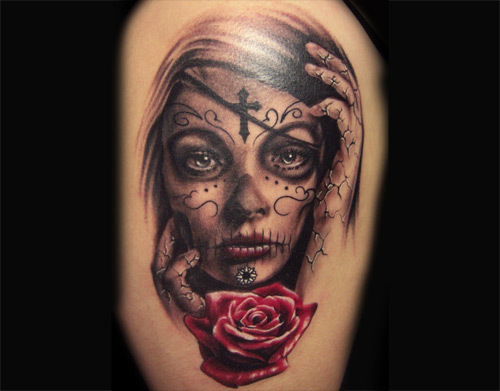 Skull tattoos have for long been popular with body art enthusiasts. 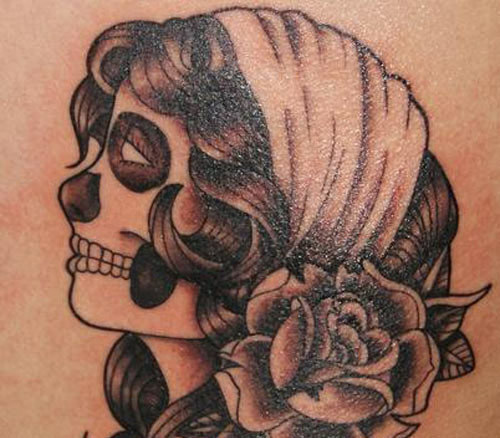 This gypsy tattoo is the perfect example of ornate skull tattoos that are a staple in gypsy body art. 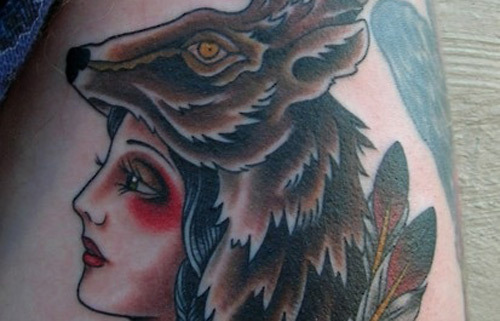 Macabre and hauntingly beautiful at the same time, this tattoo has great aesthetic appeal. The Day of the Dead is a gypsy festival, similar to the Catholic All Souls’ Day. 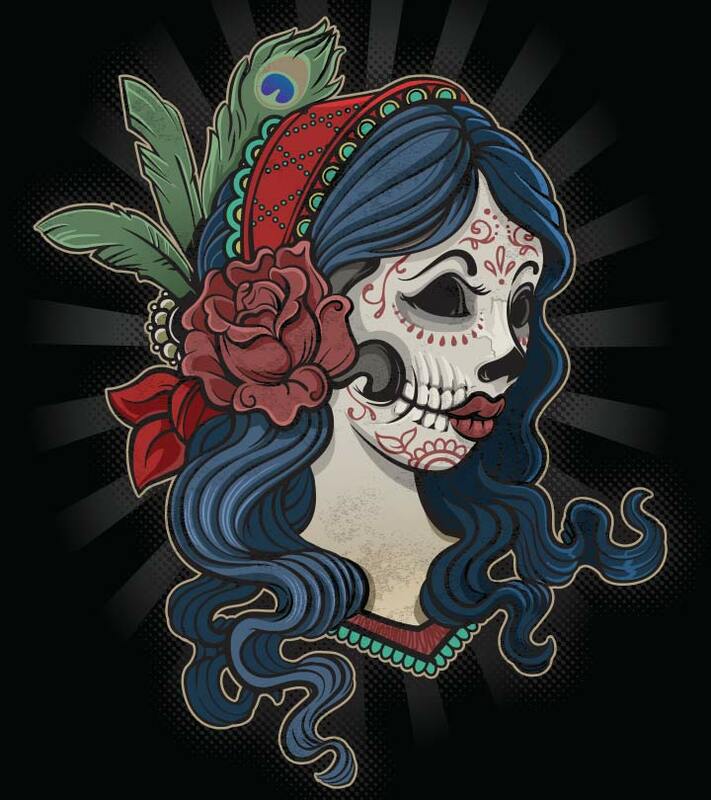 Due to its importance in the gypsy culture, the Day of the Dead has for long, been an inspiration in gypsy tattoo art. 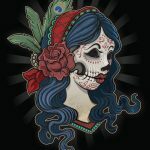 This gypsy tattoo is the perfect example of macabre gypsy art, inspired by the Day of the Dead annual gypsy celebrations. The butterfly’s journey from a caterpillar to a beautiful multi-colored winged creature holds much significance in gypsy art. This gypsy tattoo is symbolic of the gathering of knowledge that ultimately results in an awe-inspiring transformation. This brilliant piece of artwork depicts a gypsy girl with an elaborate deer headgear. For a gypsy, the deer symbolizes the calm and gentle love of nature. Gypsies are naturists. Therefore, it’s only natural that the deer, which is among nature’s calmest creatures, should find a place in gypsy art. 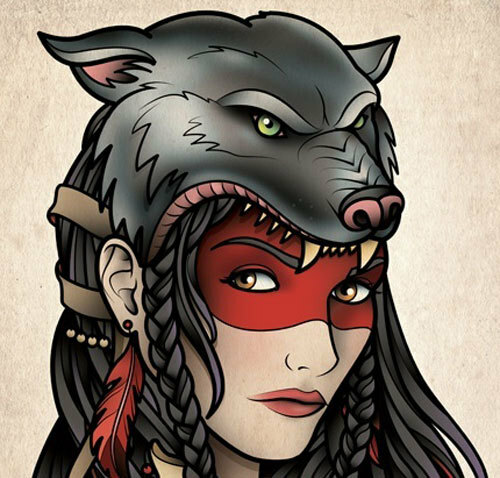 This tattoo stands out for its brilliant depiction of a gypsy girl with a wolf headgear. The wolf in gypsy circles, symbolizes intelligence and ingenuity apart from loyalty and guardianship. Due to its symbolic significance and the fact that many gypsies are nature worshippers, the wolf finds much importance in gypsy art. Gypsies are known for their knowledge of the occult and have a reputation for being effective fortune tellers. 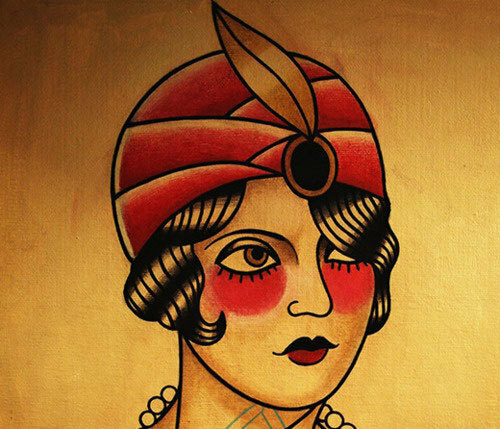 This gypsy tattoo of a fortune teller is apparently symbolic of the gypsy heritage of fortune telling and magic since ancient times. 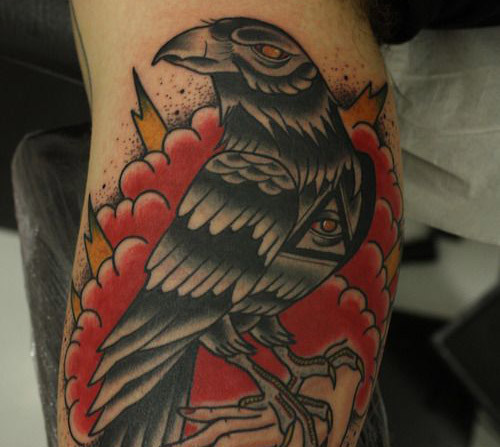 The raven is symbolic of protection, magic and wisdom amongst gypsies and this tattoo is clearly inspired by that. Make a note of how the pitch black raven perfectly contrasts with the clouds of scarlet red in the background. 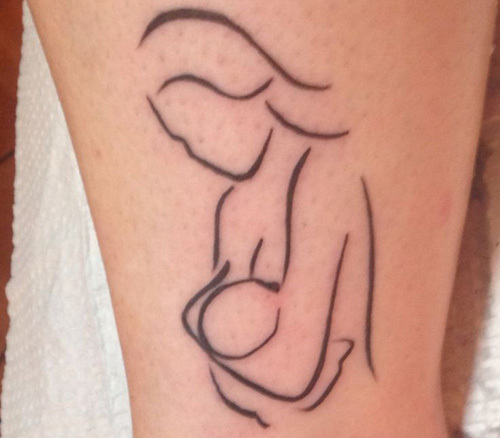 This gypsy tattoo is an abstract representation of a mother breastfeeding her baby. This could be an effective display of your love for your child. Have this tattoo replicated as depicted here, for maximum impact. 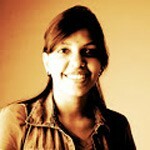 Research your idea and find sufficient tattoo designs to shape it well.